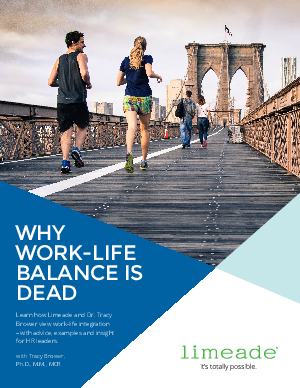 We worry about work-life balance for good reason: Employees are 20% more engaged when they feel they have the right mix of work and life activities. But balance doesn’t work. The dividing lines between life and work are less clear and it’s not a zero-sum game. Instead of focusing on finding the right balance, we should be focusing on integrating all parts of our life together — and that includes work. It all starts with workplace support that helps people bring their best self to work every single day.